3D bio-printing can be a very powerful technology to produce bio-hybrid devices made of polymers and cells such as biological machines and soft robotics. The realization of such complex cellular systems will be a major challenge for the next decade and beyond, requiring knowledge from tissue engineering, synthetic biology, micro-fabrication and nanotechnology, systems biology, and developmental biology. In this talk, we will review our work and the state of the art in the area of forward design and fabrication of multi-cellular machines composed for cells and 3D printed polymers. As these “biological machines” increase in capabilities, exhibit emergent behavior, and potentially reveal the ability for self-assembly and self-repair, questions can arise also about the ethical implications of this work. Rashid Bashir heads up the Laboratory of Integrated Bio Medication Micro/Nanotechnology & Applications at the University of Illinois at Urbana-Champaign. Their mission to integrate biology and medicine with micro and nanotechnology can be categorized into two broad areas: how micro/nano-fabrication can help solve problems in life sciences (such as diagnostics, therapeutics, and tissue engineering), and how we can learn more from life science to solve important problems in micro/nano-science and engineering (such as bio-inspired self-assembly, etc.). Dr. Bashir joined the faculty of the University of Illinois at Urbana-Champaign in 2007. In addition to his research group, he has served in a range of leadership position including the Director of the Micro and Nanotechnology Laboratory – a campus-wide clean room facility and the head of the Bioengineering Department. He was also on the founding leadership team of the Carle-Illinois College of Medicine at UIUC – world’s first Engineering Based College of Medicine. 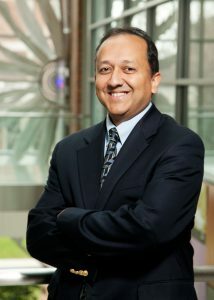 He has now been the Dean of Engineering at UIUC since Nov 2018.